YouTube, the biggest video sharing site in the world owned by Google is cracking down once again, this time on dangerous pranks. What does YouTube consider dangerous stunts? Well, what about everyone’s favorite “Tide Pod Challenge” and “Bird Box Challenge” where you go and blindfold someone while they engage in activities. YouTube is also stating that they are drawing a line on content where this is the case. 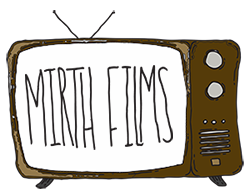 At Mirth Films, we don’t want to see you chowing down on a Tide Pod but where is the line being drawn that YouTube is talking about? In recent years YouTube has made a few updates to its policies and since there is an endless amount of video content being uploaded everyday, the video uploads are being monitored by a computer algorithm that is supposed to “catch” videos like this. As we have seen in the past, these AI counterparts that YouTube has for monitoring are not always accurate. This has resulted in top YouTube creators and many others’ videos either being un-monetized or even pulled. For some of these creators, this is how they make a living. What do you think about these changes? Has your video been pulled for these reasons? We would love to hear what you have to say about this topic.